I wanna marry my bed. I hope it was an awesome day! Happy birthday!!! Hope you have a nice day! Thanks so much for the watch means a lot. пора взяться в руки,хорошенько вылечится и постепенно снова начинать рисовать и возвращаться сюда!! Нам не хватает Надзо !! 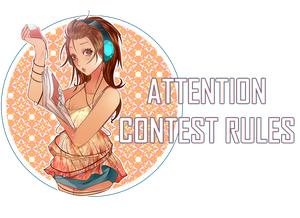 Play me a song Contest!Hello my beloved ones!Told you I was planning about a contest and here it is! Is there a special song that you love?Is there a song that makes you feel different,tells a story of you?Than what are you waiting for!JOIN! "DRAW MY OC INSPIRED BY A SPECIAL SONG!"